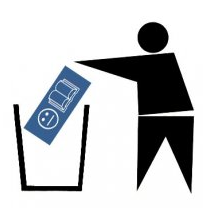 How to permanently delete your facebook account: Part C.
THIS IS THE MOST IMPORTANT PART that most instructions don’t tell you. Your account will first be deactivated for two weeks, and if you DO NOT USE FACEBOOK IN ANY WAY during that period, your account is permanently deleted. I REPEAT: Your profile is not deleted right away (even though it seems that way)! You must NOT log in to, or interact in any other way with Facebook for at least two weeks (i.e. 14 days), as this will cancel the deletion request. That includes NOT logging in to Facebook using any client (like the iPhone/Android app or IM:s like Pidgin), NOT clicking embedded Like-buttons on other websites, NOT logging in to other services using Facebook Connect (like Spotify, Digg) etc etc. So, bonus tip: delete all your browsing/forms history and cookies as well, to minimize the risk of accidentally using your account! I deactivated my account over 4 months ago. Just the other day followed a link sent to me to a FB page and my browser logged me back in like i'd never been gone. 14 days? Not quite. I need to deleted a FB account, but I'm using the same e-mail account. for twe fb how I know I won't delete the wrong account. I Have three facebook page i need to delete two of them please help me thank you.